Thousands of people bought Battlefield 3 before or after posting pictures of their lunch online. Remember in The Social Network when Sean Parker/Justin Timberlake says Facebook ads aren't cool? Well, he may have been right. But do you know what ads are if not cool? Stupidly, stupidly profitable. For proof, look no further EA's Battlefield 3 advertising campaign. After investing $2.75 million dollars into Facebook advertisements, an analysis has revealed that the campaign generated approximately $12 million in sales revenue. And that's just one successful example. "Independent analysis of more than 60 campaigns, 45 of which were completed in the first half of this year, show that 70 per cent of those campaigns delivered a return on ad spend of 3x or better," said Facebook COO Sheryl K. Sandberg. "Electronic Arts recently spent $2.75 million promoting Battlefield 3 on Facebook. They attributed $12.1 million of their sales to these ads, translating to a 4.4x return on their Facebook marketing spend." EA's $2.75 million likely wasn't the guarantee for their success (although it certainly didn't hurt). Smaller gaming companies, like mobile developer Wooga, saw download increases of 26-37% internationally once their Facebook campaigns began. The ability to simply use Facebook as an advertising platform is enough to make people try your product. While this data does present Facebook as a favorable advertising platform for videogames, developers might want to hesitate before rushing in. 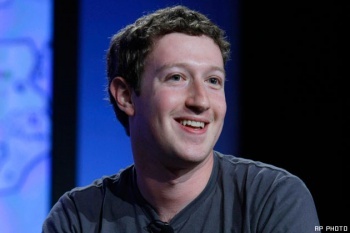 Mark Zuckerberg himself noted that game developers actually surrender a higher percentage of ad revenue compared to other entertainment media, since Facebook is considered to be providing "a lot of the value" in the advertising process. So while Facebook certainly holds promise for getting the word out about your gaming project, if small developers have to start competing with EA-scale campaigns, there's a chance that they might lose more than they gain.